The Department of Family Medicine at the University of Rochester operates a Global Health Program. 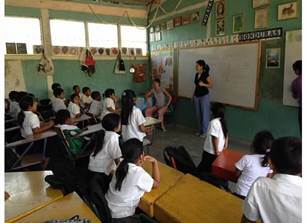 This year-round program offers didactic training throughout the year and travels twice a year for two weeks at a time to rural Honduras. 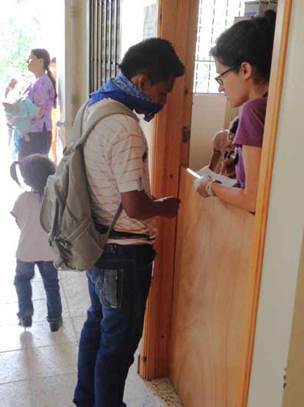 The Department has partnered with an NGO called Shoulder to Shoulder and a rural community called San Jose San Marcos de la Sierra in the Southwestern state of Intibuca, Honduras. The needs of the target community are great and go beyond curative medicine. By listening to the concerns of the local community members and performing qualitative community assessment, we are creating interventions designed to address the common problems. Below is a report from our May 2015 trip. This trip we decided to operate the brigade for logistics purposes without the help of Shoulder to Shoulder. Joshua Back (URMC medical student) has been living in San Jose for the last six months and was able to arrange all the logistics needed to run the brigade. The trip operated very well and we were able to save travelers money. Although not an outcome of this change, the group remained very healthy, with only a few travelers getting diarrheal illnesses. We again enjoyed the excellent Honduran cooking of Maria, so food was eaten in abundance and trip members loved not having to do dishes for 2 weeks! The rainy season started with our arrival so after a few days everyone had enough water for bathing. 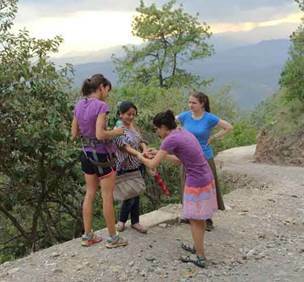 This trip, members worked very hard and people really pulled together to function as a group. The people also dealt well with the primitive conditions and always had a positive can-do attitude. Much of our time in San Jose is spent in meetings. We work very hard to ensure excellent communication with San Jose residents. We want to understand the important issues for the San Jose people and work closely with them. Our first Saturday in San Jose was spent meeting with representatives from the villages. This two hour meeting helps define what projects will be pursued during our two weeks in Honduras. Then throughout the two weeks other smaller meetings that address specific projects occur. It is not uncommon to have 2-3 meetings a day on various topics. The main communal meeting went exceptionally well this trip. Villagers were very open and talkative; which often does not happen in this very reserved culture. We learned more about how projects were going and tweaks to improve interventions. Joshua Back has worked very hard over the past six months keeping many of our projects functioning well. He is taking a year off from the UR medical school between his third and fourth year. 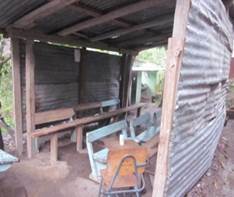 The school provides a small stipend to cover his activities. In addition to all the work he has done keeping projects running, he provides a better idea of what really goes on in the community and what some of the needs might be that cannot be seen from our two week visits. As part of Josh's medical school requirements, he is conducting a home survey of selected homes in the San Jose area. This information will help us better understand the community, resources, range of needs, and offer possible solutions to common problems. Joshua is the son of a graduate of our program, Ephraim Back. Thanks to the generous donations from the First Unitarian Church of Rochester and their friends, twenty middle and high school students are continuing with scholarships to San Marcos, La Esperanza, and Tegucigalpa. Barbara Gawinski, Josh Back (medical student living in San Jose), Paola Tercero (full time tutor), Antonia Garcia (part-time tutor) conducted a tremendous meeting with the scholars and their parents to applaud their commitments as families and as students to further the progress of education in the communities. Families agreed that it takes a village to raise a child and the support they offer to each other and families is very important. Eighth grade students and parents were pulled aside to discuss the problems arising with the age group again, last year only one eighth grade student continued on. Students and parents identified that the students are intelligent, as they had passed 7th grade. They identified that studying two hours a day, asking questions in class and of other their teachers, attending tutoring sessions, and taking school work seriously are critically important for success in school. The possibility of attending a trade school in La Esperanza was discussed and a few student indicated they would like to go to La Esperanza to try a trade that would prepare them for working with wood, metal, fabric, or leather. We concluded the day with individual meetings with each student, his/her parent(s) to identify the strengths and concerns and make recommendations as needed for each student. After 5 hours, all the students and parents had departed with a plan to attend the following Saturday to complete any outstanding paperwork and collect their lempiras. Maria Gloria Lopez and Vicente Garcia Vasquez, students in their final year of high school, have been conducting adult literacy classes in their communities of San Jose and Potreros, respectively, on Saturdays for a few hours. They have developed the curriculum and have presented their students with supplies for doing homework and practice based on their level of literacy 1st-6th level. Maria Gloria was outstanding in her preparedness, gentle guidance, and respectful correction of her students. She has a roster of 13 students. 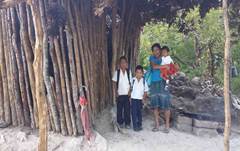 Vicente had 16 registered students including his parents and older brother. Antonia Garcia, one of the first graduates from the scholarship program has secured employment in the Portillon school as a Kindergarten teacher. Additionally she has been hired for weekend tutoring for the scholarship students. She is a very articulate, affirming, and demonstrates a values based teaching model with these young students, though at times they are not ready to study or work. 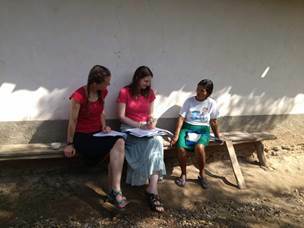 She is learning how to engage and motivate them in the classroom (on the porch of the volunteer house). 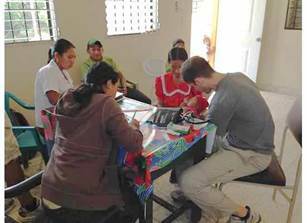 The micro finance program aims to improve the economical well-being of Hondurans in San Marcos de la Sierra by making small loans at low rates of interest to local entrepreneurs. The program began in May 2008 as a joint effort between the Highland Family Medicine Global Health and the First Unitarian Church of Rochester, with the later donating the initial money for the loans. Seven years later, the program continues to be a presence in the community, with evidence that it is becoming more sustainable. This year, 30 people received educational courses through a “Freedom From Hunger” business curriculum, and 23 people successfully applied for loans (5 of them were first-time loan recipients). We received positive feedback for our skits, which people said made learning more fun. We also worked to shorten the day for our entrepreneurs, some of whom travel far distances to participate in business classes and apply for loans. We did this by interviewing repeat loan applicants while at the same time running a class for new loan applicants. We also limited our celebration of people who successfully repaid their loans to certificates, rather than a celebratory luncheon as we had put on in the past. The medical clinic was busy at a steady pace, but fortunately not overwhelming. We saw the usual viral illnesses, skin rashes, headaches, heartburn, intestinal worms, and scabies. A few young children had pneumonias. One young girl had a significant laceration to a finger that Ani did a great job suturing. Jean did a great job identifying a man with a heart condition (see sidebar). During this current year the school fluoride program present a significant improvement. It was monitor by a medical student ( Josh Back ) He hiked to the schools and reinforce the application with the teachers monitoring the delivery for each school. He reported more schools are interested in being part of the fluoride program. Unfortunately we do not have a dental resident as a part of the group this time. we couldn’t perform the WHO form for dental examination on the children attending San Jose Central School, since we decided to provide dental care base on emergencies and small component of restorative dentistry. There are 2 goals of a school based fluoride rinse program. The easier of the two is to protect the smooth surfaces of the erupting permanent teeth and retard the decay of the occlusal surfaces of those teeth until a proper sealant can be applied. The second goal of a school based fluoride rinse program is to remineralize and stabilize damaged tooth structure until such time that more permanent treatment is available. The damaged tooth structure can be the result of decay which occurred before the availability of the rinse or the result of occasional developmental disturbances in the formation of the permanent teeth. One of the more important activities at the dental clinic is the collaboration of the Family Medicine Residents. 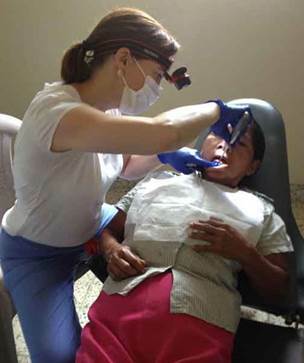 The residents were able to triage dental pain and/or infection and, when necessary relieve the pain and stabilize the infection. All of the Medical Residents rotate in the dental clinic; some progressed to the point where they independently performed several dental extraction as well as mandibular and maxillary block . The Residents were interested in not only dental extraction but also in helping with the fluoride program and the educational component in the schools. Every brigade convenes a gathering of Madreguias ("mother guides") and Parteras (lay midwives). Madreguias traditionally provide women with advice and guidance during the prenatal period. Parteras are lay midwives, who in the past performed a large number of the births in the communities. Traditionally during these meetings we provide education on a women's health topic and in the past have also distributed basic delivery kits to active midwives. Our conversation with them also allows us to learn about current issues in women's health in our partner communities. However, in the past several years the Honduran government has focused on increasing rates of hospital delivery, and delivery in the community by midwives has been outlawed. Consequently the role of these women has changed from laborists to community health liaisons that support pregnant women, help them navigate the health care system during their pregnancy, and accompany them to the hospital when delivery is eminent. This has necessitated a change in our interaction with the Parteras and Madreguias. This brigade, local "Promodores de Salud" (health promoters) were also invited to participate in the gathering with the Magreguias and Parteras. Health promoters are community members who are hired by the government to identify health needs within their communities and promote health campaigns among the community including vaccination and pediatric weigh-ins. 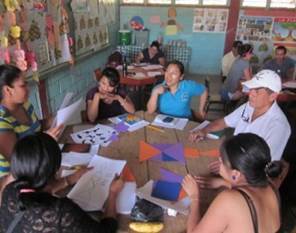 All Madreguias, Parteras, and Promodores de Salud from our partner communities were contacted and invited to participate in a focus group on adolescent pregnancy. A total of ten community members participated: six Parteras, three Promodores de Salud, and one woman who is both a Partera and a Promodora de Salud. The group consisted of nine women and one man. The focus group was facilitated by two residents, one attending physician, and one female interpreter. Questions focused on identifying the participant's sentiments surrounding adolescent pregnancy and whether it is a health problem in their communities, and their opinions of the causes and effects of adolescent pregnancy in their communities. All group members felt that adolescent pregnancy is a growing problem within their communities, and identified increased independence of children, limited education of parents, and insufficient exposure to sexual education and education about contraceptive options as causes of adolescent pregnancy. The group was also asked what they felt were the best approaches to decrease adolescent pregnancy. Overwhelmingly they stated that education of women is essential, as it allows for independence and future-orientation. Additionally, they felt that education of both youth and their parents on the topic of contraception would be useful. The discussion was fruitful and lively, and ended with many participants requesting further education on contraceptive options that they could then share within their own communities. The hope is that future brigades will be able to provide these community health liaisons with such education, and continue to partner with them to increase our understanding of the salient health problems within the San Jose Centro and surrounding communities. The distant township of las Delicias is slowly taking advantage of some of our interventions. We were approached by members of the villages of las Pilas and Aceituna which are within the Delicias township to help them install more latrines and cook stoves. We are hopeful they can complete these over the next six months. The las Delicias village of Coyolar continues to struggle with the water project they suggested they wanted, but have not yet organized enough to complete the entire project. We hope this situation improves. In 2007, when the residency program first began working in San Jose, they conducted a number of home surveys to better understand the needs of the people living there. These surveys influenced the design of interventions and established baseline measurements to allow for the future study of project effectiveness. It has been nearly a decade since and, as part of my year of volunteering in this community, I conducted another fifty-seven house survey to observe the material wealth of households and to ask families questions regarding maternal and child health, nutrition, water access and sanitation, and sources of income. Visiting all those houses on the steep slopes of San Jose, and doing it all during the dry season, might not have been my most well thought out plan, but a continual stream of “churros” and “pan” were able to keep me going. Even more reinvigorating during those long hikes was getting to know so many new people, many of whom lived so far off the road that I had never even met them before, and being welcomed into their homes. Data truly comes to life when you can see the faces and hear the voices of the people that it describes. With a final dawn to dusk scramble on the last day of the brigade, we completed all the home surveys. We still have to enter and analyze the mounds of data, but, surprisingly, this is an activity that I am actually looking forward to given the lack of nightlife options in San Jose. With these surveys, we will learn more about the current status and trends over time in the health of the people of San Jose and, as importantly, the underlying determinants of health which our interventions attempt to address. We hope that this new information will give us valuable insights into the changing needs of the community and enable us to better focus our current and future efforts. 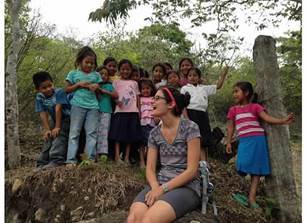 We were approached this trip by the communities of Rancho and el Salitre about participating in our interventions. They are not part of the San Jose township, but are very close geographically. After much discussion, we agreed to start slowly with cook stoves, latrines, and water filters. In an effort to reach the most needy homes first, we asked for lists of the 50 most-needy homes from Rancho, and the 20 most-needy homes from el Salitre. Rancho has about 150 homes, some of them fairly well off. 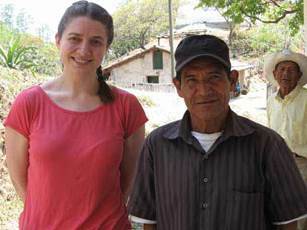 El Salitre has 56 homes, and is a poorer community. Whenever starting with a new community, it is best to go slowly to ensure we understand each other and that both sides will benefit appropriately from the interventions. We are looking to identify a trustworthy skilled worker in these two communities who can oversee the projects. We also need to raise the funds necessary to purchase the needed materials. A cook stove costs about $55 to build, a latrine costs a bit over $100, and water filters cost about $28 each. The Portillon piped water project members have built a water tank. We collaborated with the townspeople and the San Marcos mayor's office to enable this construction. 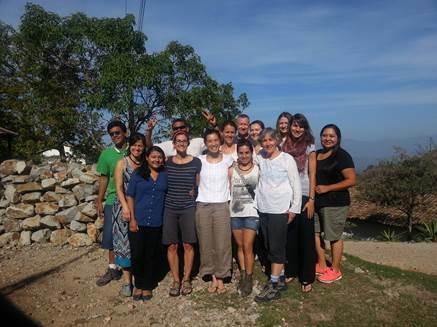 The la Calera piped water project (our first project) continues to work well. They are building a new school. We purchased additional materials to allow the school to receive the piped water. The piped water project that the government started about 6 years ago is now delivering water to some homes in San Jose 1-2 times per week for a few hours. Homeowners fill up their pila or other available containers when the water is flowing. The government continues to address technical issues in an effort to get water delivered to San Jose more regularly. We have agreed to help with construction of pilas in a number of homes. 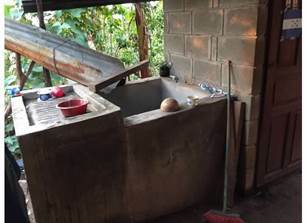 Pilas are cement tanks that function to store water, serve as the kitchen sink, and clothes washing area. 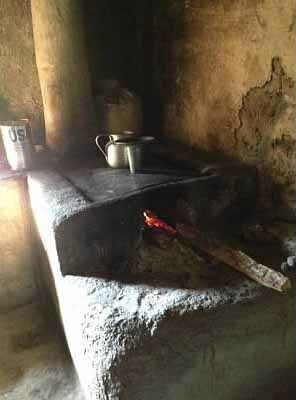 Improved cook stoves and pilas form the foundations of a Honduran kitchen. The greater Rochester Family Medicine community has touched so many lives in Honduras and the Hondurans have enriched so many of our lives. This cross-cultural project is realizing huge benefits for everyone involved. 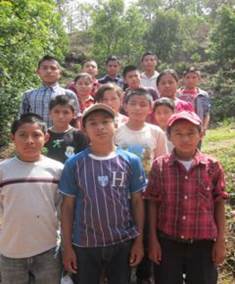 The scholarship students gain confidence as well as a chance at a path out of poverty. The micro-loan program is also helping adults find a way out of poverty. Seeing the smiles and appreciation as people display their running water, new cookstove, or water filter is so rewarding. Through these very intimate person-to-person exchanges we maintain hope that a better world will become a reality one community at a time. Thanks to everyone for their continued support to make this project such a great success. Thanks to other trip members who wrote parts of this report. 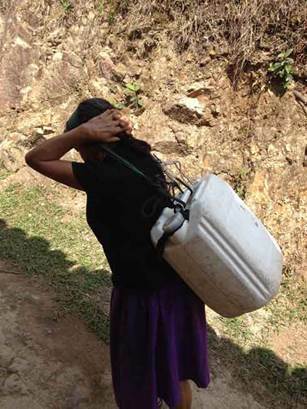 Carrying 45 pounds of water up hillsides is hard work, but for people without piped water a 20-45 minute trip is made 2-4 times a day.